Bruce D. Norling, CPA, PC provides quality, personalized financial guidance to local individuals and businesses. Our services range from basic tax and accounting services to more in-depth services such as audits. 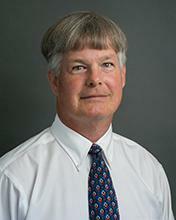 Bruce D. Norling, CPA, PC is one of the leading firms in the area. By combining our expertise, experience and the team mentality of our staff, we assure that every client receives the close analysis and attention they deserve. Our dedication to high standards and work ethic is the reason our clients return year after year. Our mission is to help clients maintain financial viability in the present, while taking a proactive approach to achieve future goals. This requires open communication to reach an understanding of our clients' needs through focused research and sound analysis. Bruce D. Norling, CPA, PC is dedicated to meeting these goals with high standards of excellence and professionalism. We have been a staple of the area's business community for years, and pride ourselves on the level of esteem we have earned. Our dedication to hard work has earned the respect of the business and financial community in and around the area. We believe this to be a direct derivative of our talent and responsiveness to our client base. Whether you are a current or prospective client, rest assured that individuals and businesses who choose Bruce D. Norling, CPA, PC receive competent and timely advice. Since graduating with a B.S. in Accounting and Finance in 1979 from Babson College, and a Masters in Taxation from Bentley University in 1987, Bruce has concentrated his public accounting expertise in the areas of income tax and auditing not-for-profit and governmental organizations. In addition to his tax and audit experience, he has had the privilege of serving as a valued business advisor to non-profit agencies, partnerships, individuals, and commercial corporations. His role as a business advisor has included consulting on numerous financial, tax and accounting matters. Assisting clients to run more efficient financial operations, increase profitability and provide solutions for complex business situations, is his goal as your business advisor. Prior to founding Bruce D. Norling, CPA, PC, he served as Senior Manager with Peat Marwick in Boston. During his time at Peat Marwick, his client responsibilities included start-up corporations, middle-sized for profit and not-for-profit entities, and large multinational companies. Some of the clients he managed with Peat Marwick included Children’s Hospital, New England Memorial Hospital, Talbots, Gorton’s of Gloucester and the Xaverian Brothers group of high schools. He provided a variety of auditing, tax and consulting services to these clients. Bruce is a reviewer in the Peer Review Program of the American Institute of Certified Public Accountants (AICPA) and a member of the Massachusetts Society of Certified Public Accountants (MSCPA). He has also been a member of the Sudbury Chamber of Commerce since 1990. Bruce grew up here in the town of Sudbury, and he lives in Framingham with his wife, Jan, and two of their three children. Kim joined the firm in 1999. She received her B.S. in Accounting from Bentley University. In 2007 she was promoted to her current role of firm Audit and Tax Manager. Kim works with a variety of clients, including individuals, corporations, not-for-profit organizations and government agencies. The services she provides to our clients are equally broad and include taxation, consulting, accounting and auditing. The diversity of clients engaged with, and breadth of work involved in, provides Kim a valuable combination of strengths our clients have come to trust in. Auditing non-profit organizations that receive government funding is one of her areas of expertise. Prior to joining the firm, Kim received Single Audit training from a former GAO (Government Accountability Office) auditor and big four CPA firm. She has experience with federal, state, and other regulatory compliance and reporting requirements. Kim also provides training seminars to our clients and professional staff. Kim enjoys spending time with family and friends, attending music festivals, and weekends at the lake. Larry is a Senior Accountant responsible for preparing all types of business, individual and not-for-profit tax returns. He also assists with firm audits and provides valuable consulting work to our clients. Prior to joining the firm in 2008, Larry was a supervisor at Carlin, Charron & Rosen LLP, CPAs, where he garnered expertise in corporate and partnership taxation. Before that, Larry worked for Russell, Brier & Co. LLP, CPAs, where he amassed considerable proficiency in the preparation of complex individual tax returns. He was also involved in audits of numerous not-for-profit organizations, including private foundations. The earlier years of his career began after earning his degree in Accounting from the University of Washington. During this time Larry worked at various not-for-profit organizations, including nine years as the Controller at Chestnut Hill Benevolent Association in Massachusetts. 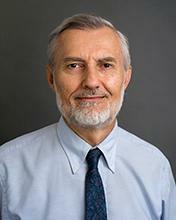 Larry is an experienced tournament chess player and was a founding member of the Metrowest Chess Club in Natick. He is very knowledgeable in classical music and enjoys concert-going with his wife. Larry's favorite season is summer, when he goes lake swimming as often as possible. Pam has been with the firm since 2003. Taxation, and more specifically, not-for-profit and individual taxation are her areas of focus at the firm. 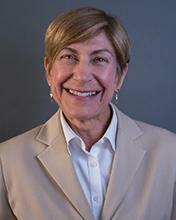 In addition to her long time experience with Bruce D. Norling, CPA, PC, she has worked at MIT Lincoln Laboratory since 1990, where she is currently Senior Accounting Officer in the Financial Services Department. 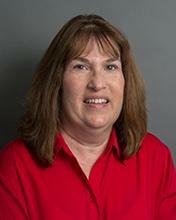 Pam began her career in accounting and taxation working for a big four CPA firm. 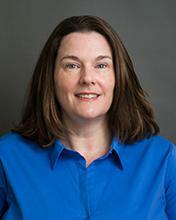 Before joining Lincoln Laboratory, she spent 5 years as a manager in the MIT Audit Division. 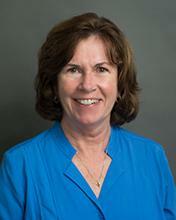 Pam has a Bachelor of Arts degree from Smith College and an MBA from Simmons College. Pam and her husband live in Sudbury, MA where they raised their daughter, who now resides in Virginia. Pam enjoys reading, working in her garden, practicing yoga, and a variety of athletic activities. Trisha began with the firm in 2007. She received her B.S. from Boston University. She spends the majority of her time working on not-for-profit audits, including Single Audits and Yellow Book audits. Outside the office Trisha enjoys spending time with family and friends. She prioritizes a healthy lifestyle and stays current with the latest information on nutrition and its effects on health. Trisha believes in a modified version of the old adage an apple a day keeps the doctor away – a well-kept vegetable garden keeps the doctor away. Jan is the longest standing employee at the firm. She has served as the office manager since 1990 and is in charge of firm purchasing, billing, accounting and payroll. Jan and Bruce have been married since 1979. 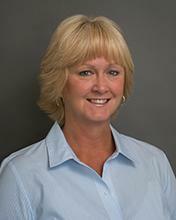 Cindy has been with the firm since 2003 and is the firm's executive assistant. She provides administrative support to the President and firm's staff throughout the tax and audit season. She has extensive experience with all administrative tasks and is involved is all aspects of the firm. Our clients’ first interaction is often with Cindy and she is an important point of contact for them. Cindy enjoys spending time with family and friends and planning her next travel adventure.